Quadira helps organisations worldwide to easily and flexibly connect, create and share documents from ERP systems. Our product Advanced-Forms® is a cost- and time saving software solution for your output management (incl. ERP). We developed this product according to the latest trends, innovations and standards and we strive for continuous improvement and innovation of user friendliness and functionality. With our team of passionate, creative and skilled professionals and our external partners we serve over 200 happy customers, large and small, worldwide, since 1999. Quadira is the most innovative and flexible provider with the best value for money and is set to become a worldwide top-5 player in the market of output management solutions. We are happy to provide you with more information about the possibilities and a short demonstration over a good cup of coffee. Just call or leave us a message and we will contact you as soon as possible. In 1999 I shaped my ideas from my attic and founded Quadira. We now have a gorgeous head office in Veghel, where we are fully equipped to welcome, train, and advise people. Thanks to a professional team we are able to apply the latest technologies in our output management software Advanced-Forms. This has resulted in very strong growth for nearly 20 years. I believe in simple and flexible software. Therefore, Advanced-Forms is quickly and easily deployable in any environment. 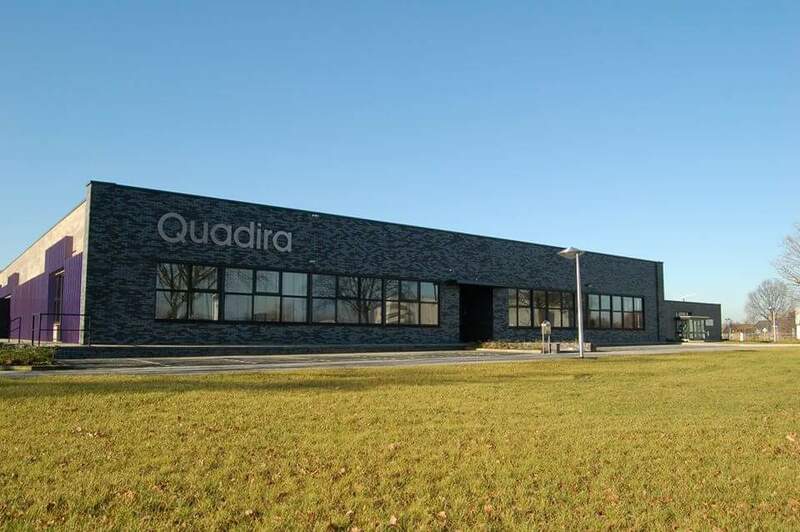 I am very proud of the fact that Quadira holds the 21th position in the top 50 of the best Dutch IT companies. In addition, our software has been used in Belgium, Germany, England, Denmark, Norway, Sweden, Spain and America, for many years. We sell directly to the customer and through our partners. Meanwhile, we have over 30 personally trained and certified partners that serve their customers with the quality that we strive for as an organisation. To further shape our growth strategy, I’m continuously looking for new opportunities and motivated employees. We are well on our way to becoming the elite Output Management provider in the Netherlands, and even becoming a top player outside the Dutch borders in the near future. Every month, millions of documents are being produced with our software and our customers save tens of millions of euros in costs annually. That’s what I call automating responsibly and sustainably. Together we are stronger. Software should not be difficult, but simple and flexible for everyone. I’m looking forward to meeting you in Veghel. See you soon!